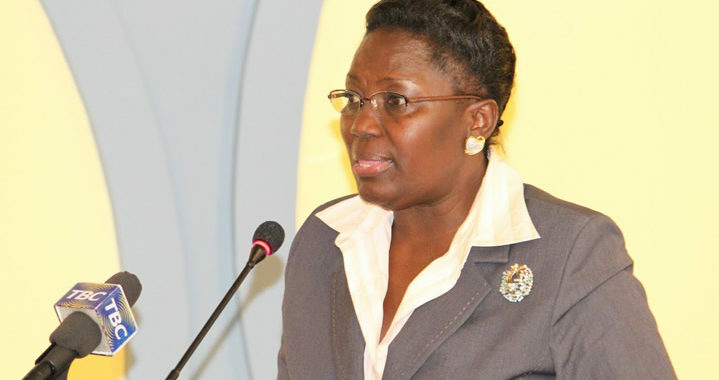 PARLIAMENT- The Speaker of Parliament, Ms Rebecca Kadaga, has protested the continued mistreatment Ugandan traders operating in South Sudan and urged the Juba government to protect them. In a statement issued on Monday by Parliament’s Directorate of Communication and Public Affairs, Ms Kadaga said he met the traders in Juba last week who told him of how they are being mistreated. “During a meeting with Uganda traders in Juba, I was informed they required extra protection because they are being threatened with eviction by the locals yet they have invested a lot in [South Sudan],” the statement reads in part. Ms Kadaga was attending a meeting of East Africa Speakers of Parliament under their body, the Bureau of EAC Speakers, from 17 to 22 September 2018. At the meeting, the Speaker pointed out the importance of member states supporting each other, saying they have cultural and economic ties. “Uganda bears a big brunt when there is instability in South Sudan because of the resultant influx of refugees who then put pressure on schools, hospitals and general infrastructure. I have had discussions with the United Nations High Commission for Refugees to give additional support to the host districts,” Kadaga said. The president of Rwanda’s Senate, Mr Bernard Makuza, said the two countries are engaged in trade and should not be bickering. “Today, more than ever, cooperation is not a choice but rather an imperative in real terms,” Mr Makuza said. The Speaker of the Senate, Parliament of Kenya, Kenneth. M Lusaka, challenged the EAC speakers to provide proper legal frameworks that will promote peaceful coexistence in the region and beyond. The Speaker of Burundi’s National Assembly, Pascal Nyabenda, also urged the East African Legislative Assembly (EALA) to urge the European Union to remove sanctions on Burundi. The speakers called on their home countries governments to promote peace in the region. She said when there is instability, people flee to neighbouring countries. Mr Anthony Lino Makana, Speaker of the Transitional Legislative Assembly of South Sudan, revealed that South Sudan will host EALA’s plenary in October. “In the third week of October, the plenary of EALA will be held here in Juba and we are looking forward to hosting the Inter-Parliamentary Games in December,” said Makana. “There is a need to strengthen EALA so that all the legislative parameters of integration are given due attention. States should benefit from joint infrastructural development, networking, cooperation in social and welfare projects and a unified voice in the international community,” he added.